A brief and brilliant satire of magazine hacks and fashionistas, The Sweet Smell of Psychosis shows Will Self—a writer hailed by Time as brilliant, iconoclastic . . . one of Britain's most original young writers"—at the top of his form. It looks like it's going to be quite a Christmas for Richard Hermes, powdered with cocaine and whining with the white noise of urban derangement. Not so much enfolded as trapped in the bosom of the most venal media clique in London, Richard is losing it on all fronts: he's losing his heart to Ursula Bentley, a nubile and vacuous magazine columnist; he's in danger of losing his job at the pretentious listings magazine Rendezvous; he's losing his mind courtesy of Colombia's chief illegal export; and, worst of all, he's losing his soul . . . to the king-of-all-media and sinister purveyor of opportunities—sexual, chemical, and professional—known only as Bell. 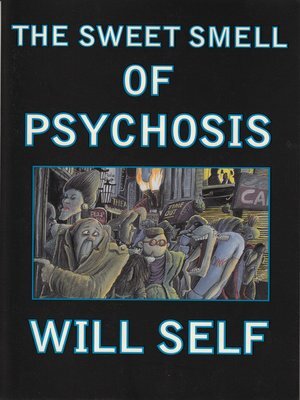 Murky, paranoid, and hilarious, The Sweet Smell of Psychosis is Will Self at his best.